Pacemakers are commonly implanted medical devices that help control abnormal heart rates associated with certain cardiac conditions. But despite their intended life-saving properties, pacemakers don’t always function as intended. Defective pacemakers can cause life-threatening infections and other complications, and require follow-up operations to remove and replace the devices. If you or a loved one suffered adverse health effects caused by a faulty pacemaker, the Oklahoma product liability lawyers at Carr & Carr may be able to help you obtain the financial security you need to cope with medical expenses and other damages. Defective pacemakers can cause infections and other complications that require follow-up surgery. Newer, smaller pacemakers without leads have been developed to reduce recovery time and decrease the risk of infection, which can occur where a pacemaker is implanted. This is important because an infection is more likely to occur if a device is replaced, rather than during new implant placement. Replacing a pacemaker requires another surgical procedure, which carries risks of infection, blood clotting, complications from injuries near the surgery site, or poor reactions to anesthesia or medication. Unfortunately, many complications associated with pacemakers are due to defects with the devices themselves. In 2017, the U.S. Health and Human Services Department reported that Medicare paid at least $1.5 billion over the span of a decade to replace seven types of defective heart devices that failed in thousands of patients. Premature failures: The leads, generators or other parts in a pacemaker failed early or were programmed improperly. Infections: In some cases, pacemaker leads became dislodged and caused infections in the implantation sites. Battery upgrades: A pacemaker may last seven to 10 years, depending on use and other factors. When the battery becomes low, it needs to be changed, which can come at a high cost—both in price and in risks to a patient’s health. Product defects: Some pacemakers were implanted with design or manufacturing flaws, such as premature battery failure, parts detaching, or perforations. The U.S. Food and Drug Administration (FDA) regulates nearly 200,000 different medical devices, including pacemakers and other cardiac implants. The FDA can initiate recalls for defective medical devices, but many people often suffer adverse effects before a recall is issued. Recent years have seen a number of pacemaker recalls. In 2015, Medtronic recalled three models of its InSync III pacemaker due to issues with long-term battery performance. In 2017, nearly a half-million Wi-Fi enabled pacemakers produced by Abbott (formerly St. Jude Medical) were recalled due to hacking concerns. Security problems in the devices made them vulnerable to being hacked and reprogrammed, which could put patients’ lives at risk. Abbott recalled an additional 350,000 implantable defibrillators in 2018 due to a similar issue. Your doctor will most likely notify you first about potential problems with your pacemaker. However, you may also receive a notice from the manufacturer. If you have concerns about your pacemaker, speak with your physician as soon as possible. Unfortunately, many pacemaker recipients don’t learn about defects with their devices until a recall is issued and damage has been done. The costs associated with coping with a faulty pacemaker can be overwhelming. 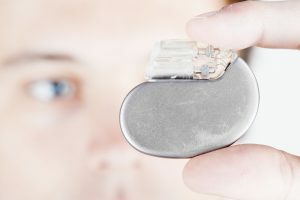 If you suffered complications from a defective pacemaker, a product liability lawyer may be able to help you recover the compensation you need to cope with medical expenses and move forward with your life. The lawyers at Carr & Carr Attorneys at Law have experience in defective product cases, including those related to faulty medical devices. If you were hurt or a family member died due to a faulty pacemaker, please call us today at 888-238-0626 or contact us online for your free consultation. We’re proud to serve clients from Oklahoma and nationwide from our offices in Oklahoma City and Tulsa.